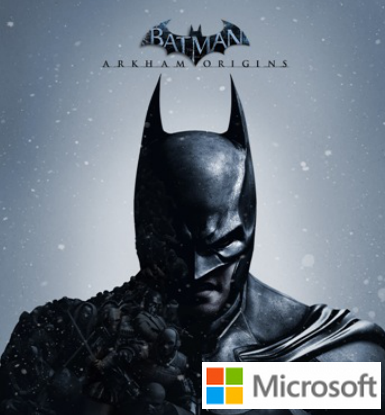 Batman: Arkham Origins is an upcoming video game being developed by Warner Bros. Games Montréal and released by Warner Bros. Interactive Entertainment for the PlayStation 3, Wii U and Xbox 360 video game consoles, and Microsoft Windows. Based on the DC Comics superhero Batman, it is the successor to the 2011 video game Batman: Arkham City, and the third installment in the Batman: Arkham series. It is scheduled for a worldwide release on October 25, 2013. Arkham Origins moved development away from series creators Rocksteady Studios, and is written by Corey May and Dooma Wendschuh. The game's main storyline is set five years before that of 2009's Batman: Arkham Asylum and follows a younger and less refined Batman who has a bounty placed on his head by crime lord Black Mask, drawing eight of the world's greatest assassins to Gotham City on Christmas Eve. The game is presented from the third-person perspective with a primary focus on Batman's combat and stealth abilities, detective skills, and gadgets that can be used in both combat and exploration. Arkham Origins is the first game in the series to feature multiplayer gameplay. Visit www.microsoft.co.za for their great gaming offers!